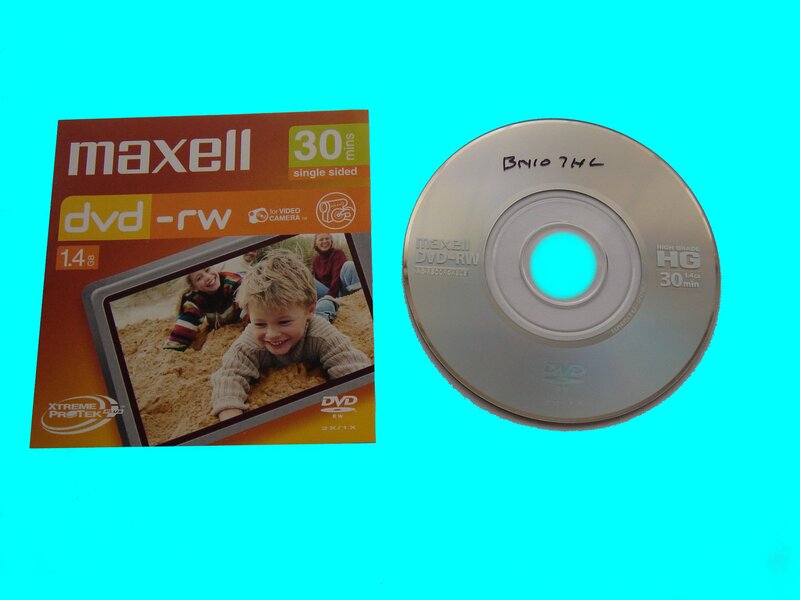 Maxell DVD-RW 1.4GB 30min on Sony DCR-DVD92E PAL. After Recording I could not finalise the data . I did have another company look at my mini-DVD in Holland and they came to the conclusion that due to massive sector damage repair was not possible. You cannot imagine how happy we are with the recovered video, it is worth every penny!! Thank you!!!! If you need a Maxell DVD-RW finalise on Sony camera service, then contact our friendly company. Maxell DVD-RW 1.4GB 30min on Sony DCR-DVD92E PAL. After Recording I could not finalise the data . I did have another company look at my mini-DVD in Holland and they came to the conclusion that due to massive sector damage repair was not possible. You cannot imagine how happy we are with the recovered video, it is worth every penny!! Thank you!!! !.